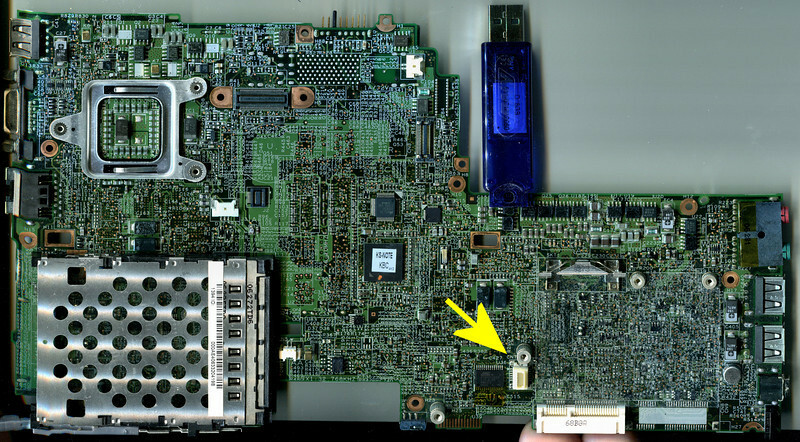 Below is a close up of the Eeprom with the 3 connection points labelled, the image has been rotated the front of the X61 is at the top of the image. 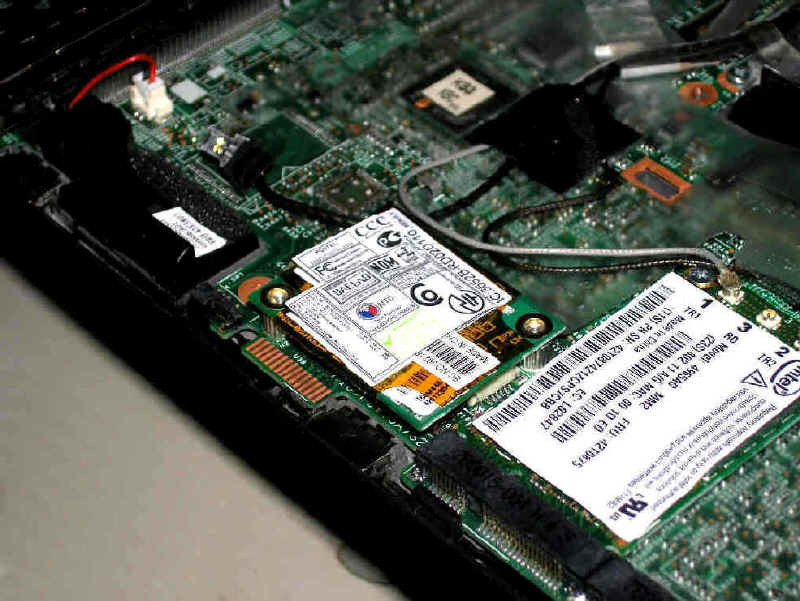 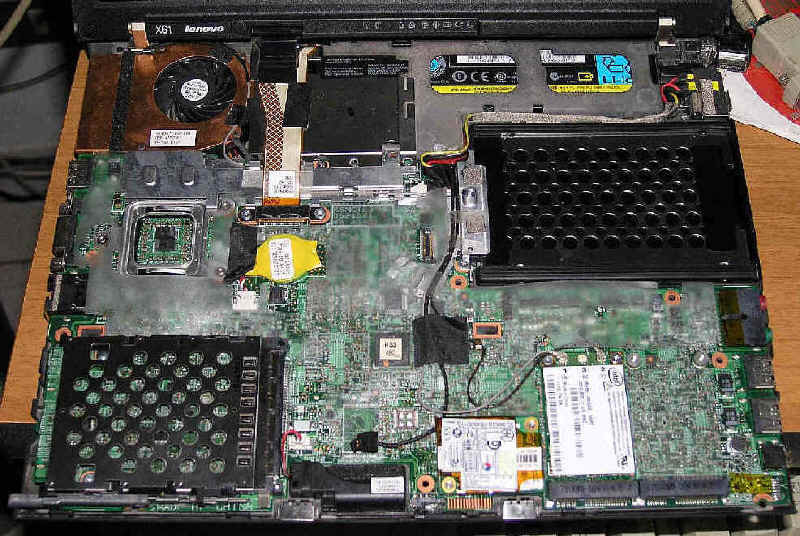 If you have this System Board, You DO NOT need to remove it from the base, once you lift up the Keyboard, you just remove the single module covering the connection points. 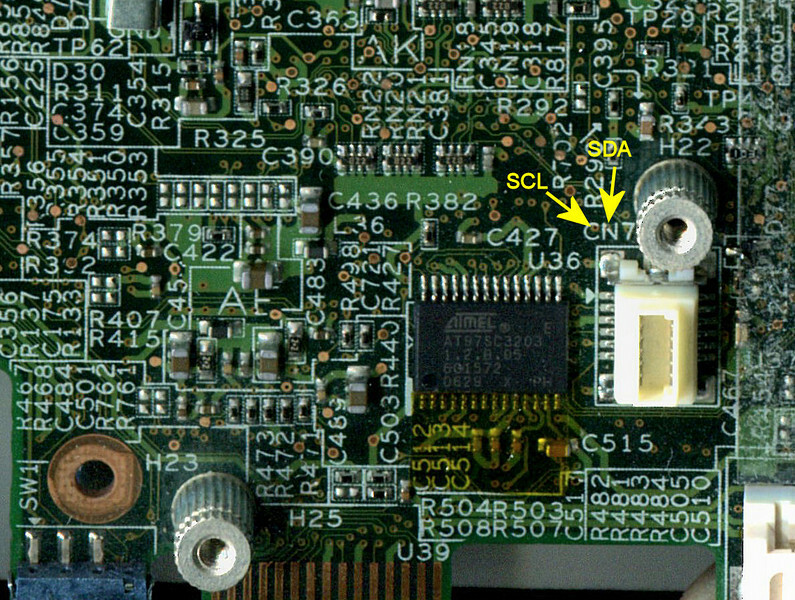 With the TP switched OFF, using strong excellent lighting, carefully using a magnifying glass check the SDA and SCL connection points on the System board. 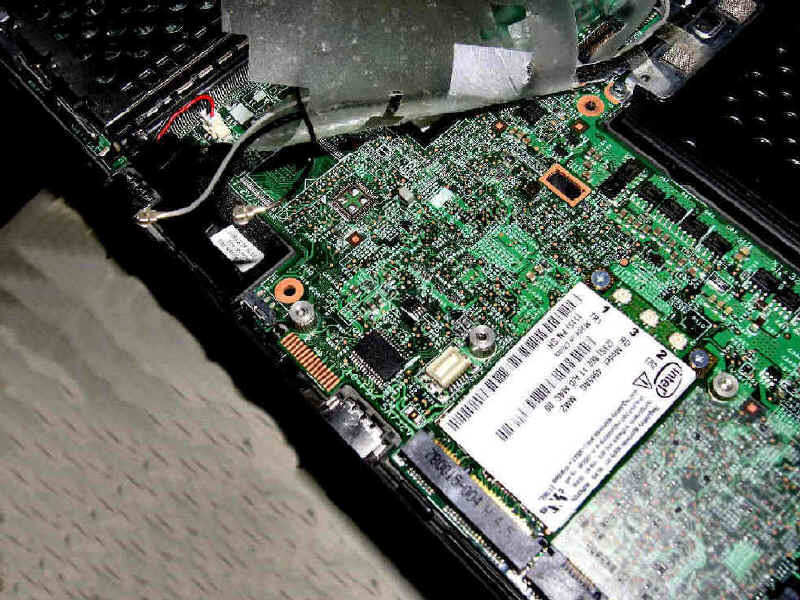 If there is any corrosion or coating over the SDA and SCL connection points - TP switched OFF, no power going to TP, VERY GENTLY scrape away the corrosion and or coating from the SDA and SCL connection points. 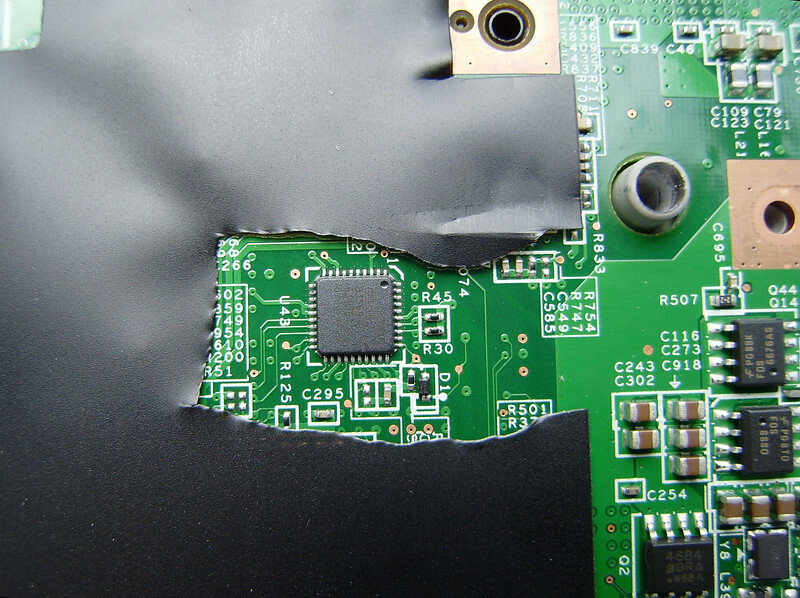 ATMEL 8356908 chip illustrated below, you DO NOT cut the black plastic cover as was done here, simply lift it up and stick it back down when finished. 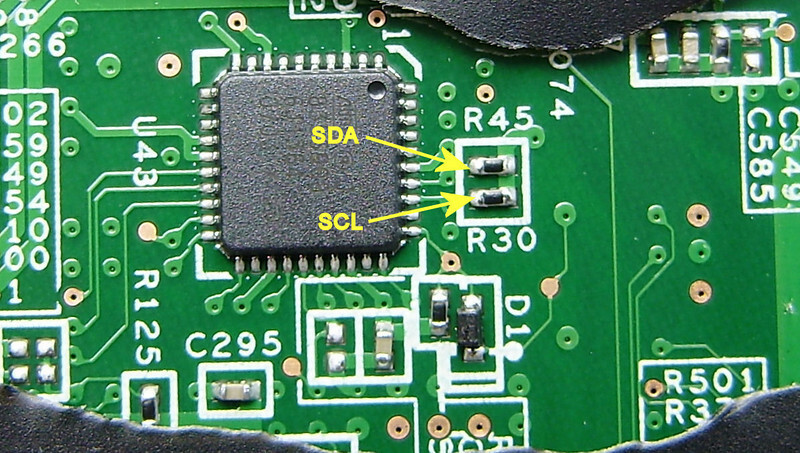 Close up of ATMEL 8356908 chip showing connection points.